Landing page optimization is one of the most crucial parts of any Internet marketing strategy today. There are lots of benefits of an optimized landing page. The conversion rate determines the success of a landing page. It should be easy to read, follow very strict design scheme, and should have proper placement of a call to actions. Make sure to always create SEO friendly pages so you can attract more traffic on them. In order to fully optimize a landing page, there are a few tested methods which you can follow and increase conversions on all of the pages. The most important job of a landing page is to hold the attention of the visitor. Anyone can optimize a landing page to get maximum conversion. This involves capturing the visitor’s attention, maintaining it and focusing their attention on the call to action of a landing page. Usually, the ad that brought the visitor to the landing page caught their attention. So basically, the landing page is responsible for holding and directing that attention. Keep the attention ratio low. The attention ratio is the ratio of the number of interactive elements on the landing page to the campaign conversion goal which is always 1. If the landing page has 20 different items for sale or 20 different calls to actions, the attention of the viewer is split between all of these different elements. This will impact the conversion rate on a landing page. If the landing page only contains specific content, then the odds of conversion will greatly be increased. Use message match to keep the viewer focused and moving in the right direction. Message match means that the content of the ad that the viewer clicked to get to the landing page matches the headline of the landing page. If the ad said something about Management Software, the landing page headline should not be about custom layouts for software design. When headlines and ad copy do not match you end up with an annoyed viewer that is looking at a site which is not relevant to them. This viewer leaves without following through with the goal of the site and the conversion rate of the landing page goes down. 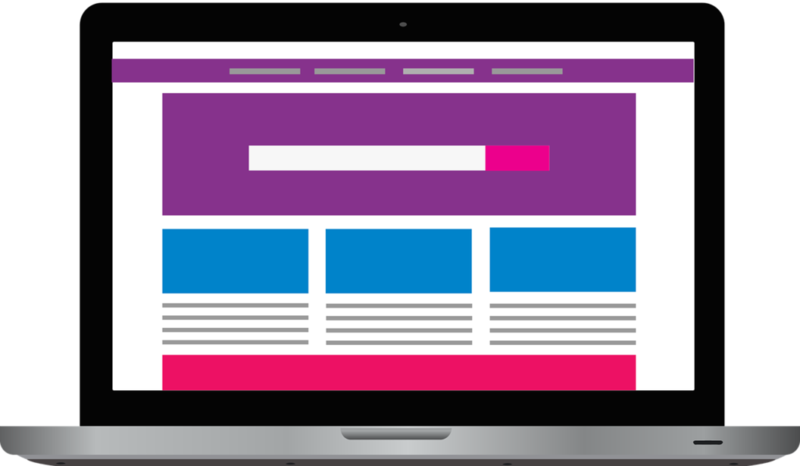 Design match follows the same principle as message match but with the color scheme or icon/logo and the overall look of the headline of the landing page. If the ad contains a graphic or logo element this element should follow through to the headline to connect the two. This reduces the confusion of the viewer when they land on the page. If message and design match have both been achieved the viewer will see a headline with text matching that of the ad and icons or logos that have also come through from the ad. Maintain conversion momentum. When a viewer has chosen to click on the ad or link that brought them to the landing page you have established conversion momentum. Maintaining this is much like maintaining a conversation with someone in person. It is important to show them that you appreciate their time and that they clicked on the ad or link in the first place. This sort of communication humanizes the experience for the viewer and shows them that you care. Avoid rambling. Get to the point or the reason for the landing page quickly, but nicely, and in a way that flows naturally. Avoid generic statements that are seen everywhere. These tend to make the viewer associate the site and campaign with canned projects that are either scams or expensive and useless. Make sure that the Call to Action button is a contrasting color to the rest of the page. This ensures that the viewer sees the button immediately and knows what you want them to do. The button should also be reasonably sized so that it attracts attention and is easy to find between the other content on the page. If the viewer has to hunt for this Call to Action button they may assume they clicked on the wrong link or that the site is no longer featuring what they wanted. Many viewers will leave a site and try their search again instead of searching for a Call to Action button that can’t be clearly identified. Use compressed high-quality images where you can. This is often called context of use. A visual demonstration of what your product, service, or campaign will do for the viewer often results in a higher conversion rate. Compressed Images, charts, or screenshots that are relevant to the campaign can help a viewer understand what they are seeing on the landing page and how they can use the service to improve their business or life. Check out this guide on how to compress images without losing quality. Simplify forms whenever possible. Forms are an important part of landing pages as they are the source of information to allow the business to contact the viewer in the future or deliver the service and take any payment that is required. While they are important, forms also terrify the viewer. If the viewer sees a page full of boxes they have to fill out they may change their mind about the service. To avoid this, shorten forms as much as possible. Only ask for the information that you absolutely must have to complete the Call to Action. Break the form into multiple screens and organize them in a logical way. Make sure the reward for completing any forms or clicking the Call to Action button is clear. Also, make sure that this reward is reasonable for what you are asking the viewer to do. Are you asking the viewer to give you their name and e-mail address for a free trial, or are you asking for every bit of personal information? A viewer is likely to cooperate and complete the forms for a name and email to try out your service. In some cases, they may even be willing to give a credit card at that point if they are setting up a renewable service and are confident in the company and the trial. Make sure the information you are requesting is reasonable for the service, product or campaign that the landing page is featuring. If the viewer is unwilling to supply the information that is asked for or if they feel that that much information isn’t necessary then you will lose them before the Call to Action is completed and the conversion will be lost. There are more ways to improve a landing page for conversion. I hope these steps will get you headed in the right direction to establishing a successful landing page with a great conversion rate. I am Azib Yaqoob, a freelance SEO consultant. If you are looking for someone to boost your website ranking in search, then I can help you. Get in touch now!